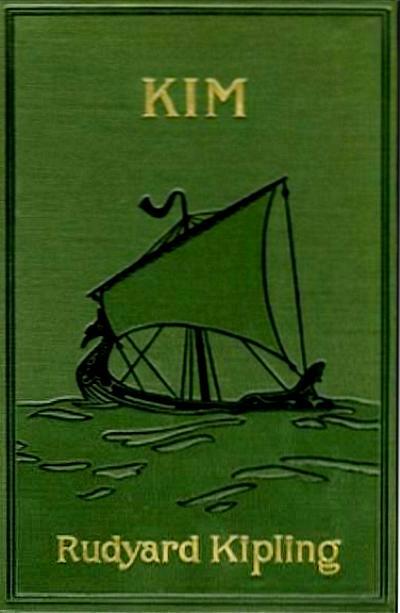 One Eternal Day: "Little Friend of all the World"
I discover the works of Rudyard Kipling at ManyBooks.net including Kim (a free download for Kindle, etc. ), the author's last, and perhaps best, book. I didn't read it until I was an adult but when I finally did I found it thoroughly enjoyable. Kipling has, of course, been roundly condemned by many a post-colonial critic, his very name made a byword for objectionable empire nostalgia. It's certainly true that the India of Kim is an unchanging place, with British rule an incontestable part of the scene. But the warm soul of the book is in its people, not its politics. It brims with Indian noise and heat and colour – a great comfort in itself when the world outside your window is slate-grey and sodden. And yet these roaring bazaars and clamorous caravanserais are peopled not with some massed and inscrutable Other; they are brim-full of friends, men and women with voices and stories of their own.